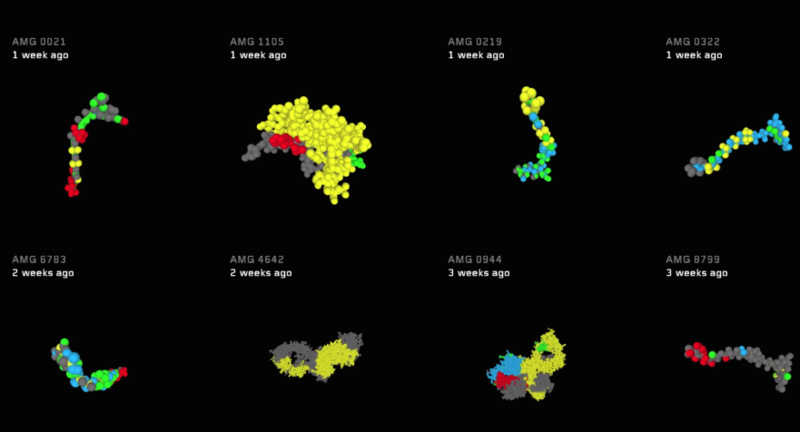 Seattle-based information design company Schema worked with multinational pharmaceutical company Amgen to create Amgen Molecule Vision, a visualization tool for molecular information. The visualization includes 3D representations of various biological molecules and lets users search, filter their results, and view molecules with similar attributes. Users can view molecules that affect particular conditions, including melanoma, asthma, and migraines, as well as where the molecules are manufactured, distributed, and marketed.